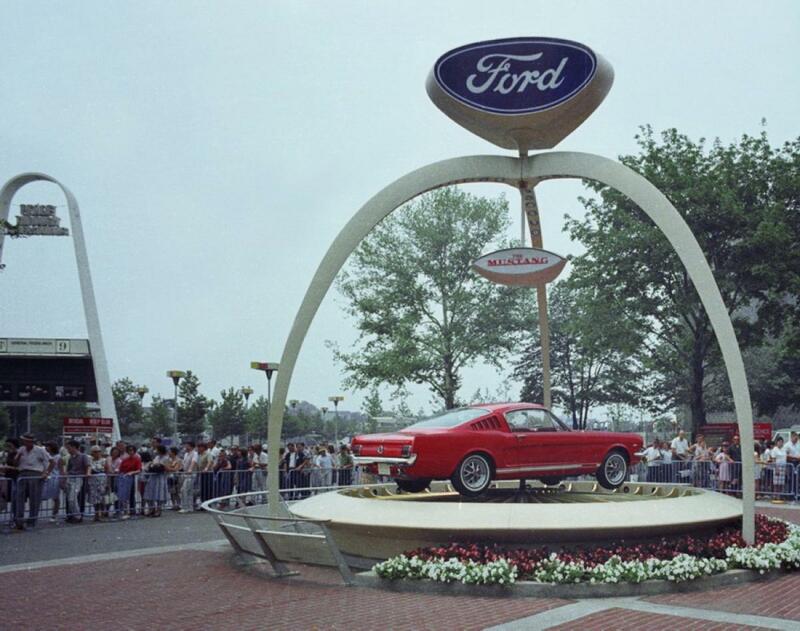 The Ford Mustang, a two-seat, mid-engine sports car, is officially unveiled by Henry Ford II at the World’s Fair in Flushing Meadows, New York, on April 17, 1964. That same day, the new car also debuted in Ford showrooms across America and almost 22,000 Mustangs were immediately snapped up by buyers. Named for a World War II fighter plane, the Mustang was the first of a type of vehicle that came to be known as a “pony car.” Ford sold more than 400,000 Mustangs within its first year of production, far exceeding sales expectations. The Mustang was conceived as a “working man’s Thunderbird,” according to Ford. The first models featured a long hood and short rear deck and carried a starting price tag of around $2,300. Ford general manager Lee Iacocca, who became president of the company in October 1964 (and later headed up Chrysler, which he was credited with reviving in the 1980s) was involved in the Mustang’s development and marketing. The car’s launch generated great interest. It was featured on the covers of Newsweek and Time magazines and the night before it went on sale, the Mustang was featured in commercials that ran simultaneously on all three major television networks. One buyer in Texas reportedly slept at a Ford showroom until his check cleared and he could drive his new Mustang home. The same year it debuted, the Mustang appeared on the silver screen in the James Bond movie “Goldfinger.” A green 1968 Mustang 390 GT was famously featured in the 1968 Steve McQueen movie “Bullitt,” in a car chase through the streets of San Francisco. Since then, Mustangs have appeared in hundreds of movies. Over the decades, the Mustang underwent numerous evolutions, and it remains in production today, with more than 9 million sold.